IRC has compiled a growing repository of tools and guidance for strengthening water, sanitation and hygiene (WASH) service delivery. Achieving the Sustainable Development Goal (SDG) of universal access to WASH by 2030 requires a systems approach, This means tackling all dimensions such as monitoring systems to see whether services are delivered; financing frameworks that define who pays for what and how; and procurement mechanisms for infrastructure development. The toolkit is organised around the two related goals of delivering services and delivering change. The toolkit covers both water supply and sanitation. Sanitation and hygiene-specific tools have been grouped under the sanitation and behaviour change blocks. Included are best practices, case studies and approaches developed and tested in IRC’s work with governments, NGOs and other partners in over 20 countries. The tools come from big, multi-country initiatives, such as WASHCost, Triple-S and WASHTech, as well as more focused pieces of work, such as our partnership with the government of Ethiopia to develop guidelines for self-supply. We are in the early stages of development, so for now the toolkit is a beta product. We encourage you to use and build on our work. We do, however, request you to acknowledge the source and share your experience with us. We also welcome your feedback as we continue to expand and refine the toolkit. Please send your comments, questions and experiences to info@ircwash.org. With this in mind, WaterAid/SHARE have published a toolkit  to help practitioners make water, sanitation and hygiene (WASH) safer for the most vulnerable. Any actor working in humanitarian, development or transitional contexts can request free access to the materials by sending an email to gbv@wateraid.org. House, S., Ferron, S., Sommer, M. and Cavill, S. 2014. Violence, gender and WASH : a practitioner’s toolkit : making water, sanitation and hygiene safer through improved programming and services. London, UK, WaterAid/SHARE. In 2012 WaterAid America released “1 in 3“, a video highlighting the impact of the lack of sanitation on women. A government campaign to stop open defecation in the Indian state of Madhya Pradesh has been criticised for using humiliation to change behaviour. Journalist M. Poornima writes that the ambitious scheme called ‘Maryada Abhiyan’ (Hindi for dignity), “gives little of it to women”. From catcalls to publishing names to photographing the people caught — the government booklet  suggests a number of measures meant to humiliate people. That it would hit women the hardest is not a thought that appears to have occurred to the authorities. The criticism is backed up by WaterAid programme officer Binu Arickal, who called whistling at or photographing women practising open defecation “foolish”. This reflects a discussion started at the beginning of this year on community-led total sanitation (CLTS) and human rights in the SuSanA Forum, which was sparked by a journal article  by Jamie Bartram and others. UNICEF contributed to the Maryada campaign booklet. The campaign’s brand ambassador is Anita Narre, the bride from a Madhya Pradesh who sparked a “sanitation revolution” in her village by forcing her husband to build a toilet in their home. Akvopedia has launched a new water and sanitation portal on sustainability. Developed by Akvo in collaboration with IRC International Water and Sanitation Centre, the portal provides simple outlines of sustainability frameworks, such as the IRC’s Triple-S framework, as well as the FIETS approach, which was developed by the Dutch WASH Alliance and takes into account five key areas of sustainability – financial, institutional, environmental, technical and social. These key areas have been chosen as the five pillars of the portal’s main page. A collaborative approach between governments, civil society and business is essential to getting the Millennium Development Goal sanitation target back on track. This is critical to improve the health and prosperity of women worldwide, says a new report jointly published by the United Nations hosted organisation Water Supply and Sanitation Collaborative Council, international development organisation WaterAid and Unilever’s leading toilet brand Domestos. The report, We Can’t Wait, was presented today at a UN event in New York which celebrates recognition of the first official World Toilet Day. The day serves to remind the world that over 2.5 billion people lack access to an adequate toilet, with devastating consequences in particular for the well-being, health, education and empowerment of women and girls worldwide. Is there a sustainable business case for sanitation? The business case for sanitation in developing countries is testified by the thousands of small scale entrepreneurs springing up to tackle problems of open defecation and process faecal waste and urine. Will these businesses be profitable and sustainable? Can they address the huge scale of the problem? Will they address the issues in rural areas as well as urban areas? These questions are much harder to answer. 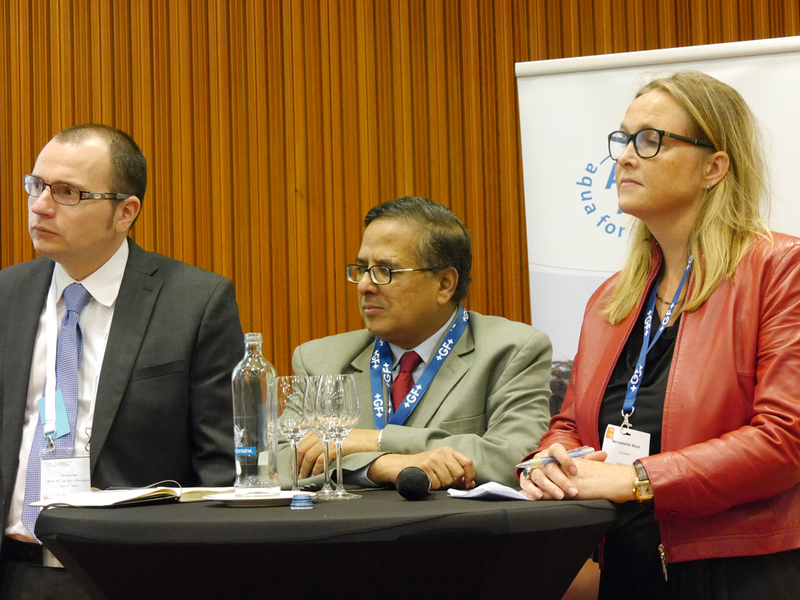 The evidence from an event at the International Water Week leading up to the Sarphati Sanitation Award was mixed. The workshop Making Sustainable Business out of Sanitation, showed a high level of innovation and enthusiasm for businesses to address two of the most intractable public health and environment issues of our age – the 2.5 billion people who don’t have access to safe hygienic toilets and sanitation, and how to deal with human waste. Mapping sustainability assessment tools to support sustainable water and sanitation service delivery, 2013. Authors: Julia Boulenouar, Ryan Schweitzer and Harold Lockwood. Water Services That Last. This paper reviews five different sustainability assessment tools that are currently in use for programme monitoring of WASH interventions. The selected tools all have a developed framework that has each been pilot tested and produces an objective and quantifiable output (e.g., final score or percentage) that can be used to trigger improvements to programme design or take remedial actions. The review team found a larger number of tools in circulation, but did not include those limited to one particular technology or to the organisational aspects of sustainability.